We’ve built a website for a Realtor. Not just any Realtor. 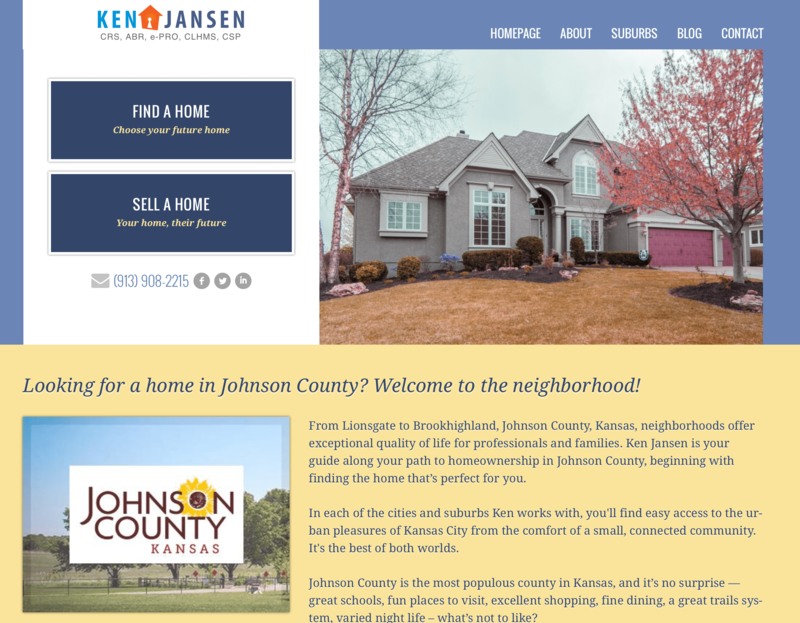 Ken Jansen has been a favorite client and friend for some years, and we enjoyed working with him to build a snazzy new website. One of the great things about this project is that Ken knew exactly what he wanted: the target market he wanted to talk with, the image he wanted to present, and the information he wanted to convey. 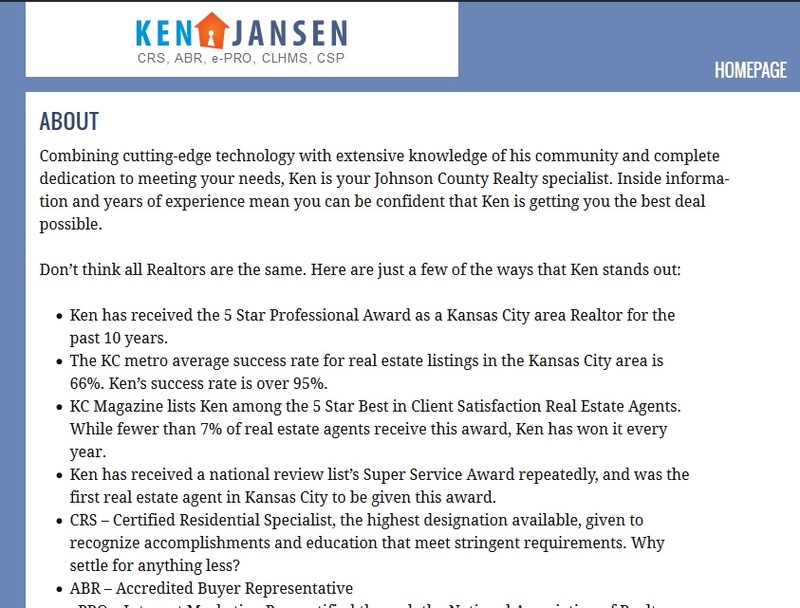 Tom Hapgood designed a handsome stacked home page for Ken. The first, above the fold section features one of Ken’s photos, which rotates through seasonal filters. 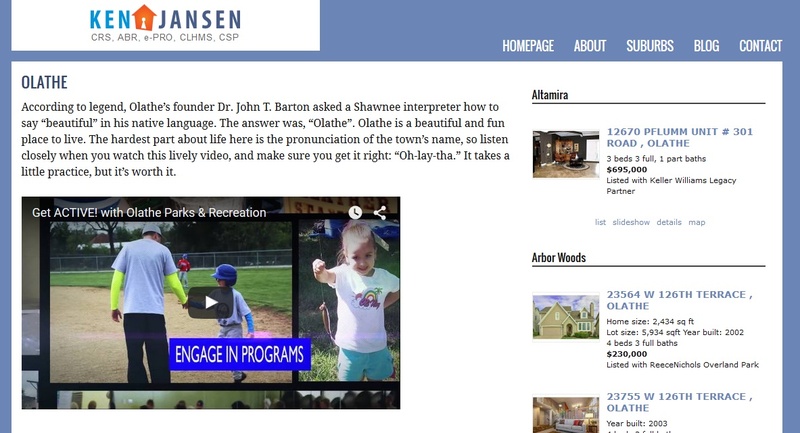 The next section presents Ken and his beloved Johnson County, Kansas. 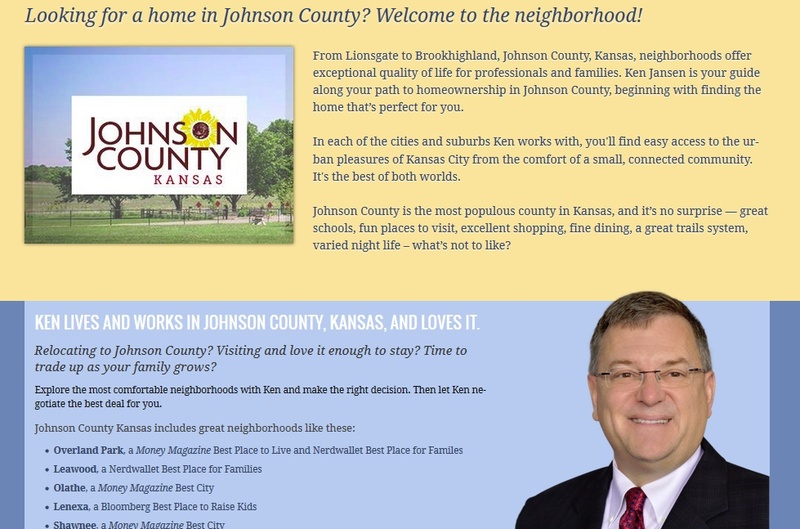 We’ve created keyword-rich text that reflects Ken’s love of his county. This was the top message Ken wanted to convey. He wants to work with a very specific clientele, so the content is designed to appeal to his favorite people. 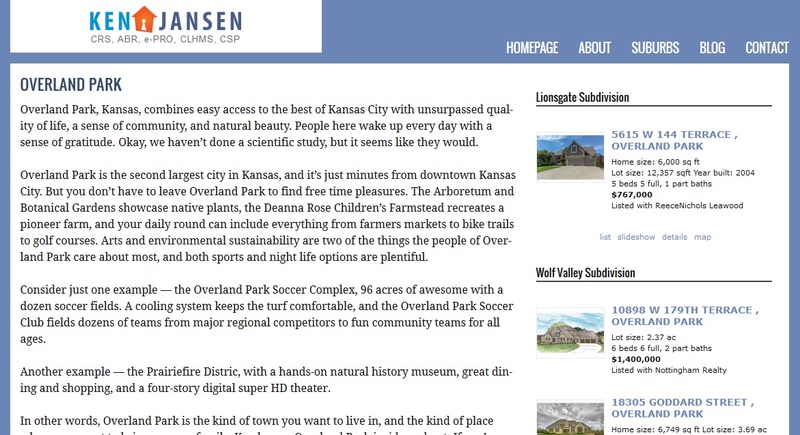 The next section shares Ken’s featured listing and pulls in the area listings. 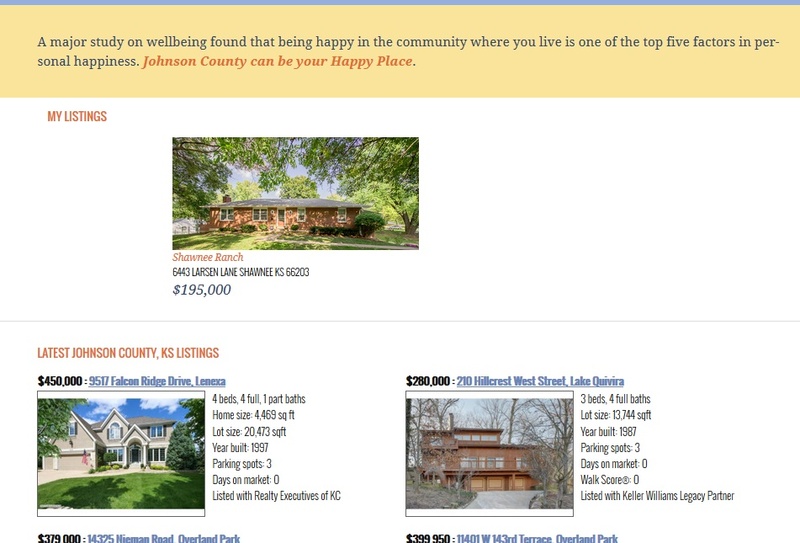 Some of the pages have multimedia, and all have listings pulled in for specific subdivisions. Ken’s hundreds of blog posts are still in place, and the blog page is built to make good use of the images Ken has used. Ken has the skills he need to keep his content up to date, so Tom created custom post types to make sure all Ken’s posts and pages look the way he wants them to. When you know what you want and how you want to use your website, you can make sure your web team builds the site so you can use it the way you want.